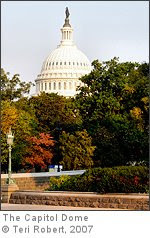 ...intended to bring headache clinical and research specialists and patient advocate leaders to Washington, DC to educate members of Congress and their staffs about the problem of NIH under-funding of headache research and to suggest remedies. ...led to the adoption of the House and Senate report language that the National Institutes of Health (NIH) is currently responding to. You can help by signing up for AHDA "Action Alerts" emails. When the AHDA needs help they will send you an "Action Alert" and ask for your support by doing things such as contacting your state Senators and House Members. The AHDA provides a letter for you to use that is already written. If you'd like, you can personalize it. The email is automatically sent to your state representatives without you having to go to the trouble of looking up their contact information. Sending an email will take you less than 10 minutes. I know you understand how important this is so please take a few minutes and sign up for "Action Alerts" now. For more information please click HERE to go to this MyMigraineConnection article written by Teri Robert. Click HERE to go to the AHDA's site. To join the AHDA mailing list click HERE.